Bharat Sanchar Nigam Limited (BSNL) is planning to launch the satellite phone service for all Indian citizens in the next two years. As you'd guess, a satellite phone aka 'satphone' connects directly to the orbiting satellite instead of the local cell tower for communication and thus, can connect from any part of the country. These phones support voice, text messaging (SMS) as well as low-bandwidth Internet access. BSNL has applied to the International Maritime Organisation for license and expects to have the formalities done in the next 24 months. Mr. Anupam Srivastava, the managing director at BSNL informed that once the licenses are obtained, BSNL will make the satellite phone service available for everyone in India. There are several advantages of using satphones over the regular cell phones. While the regular cell phones need to be in the 'range' of the nearest cell towers, satphones do no have any such requirement. 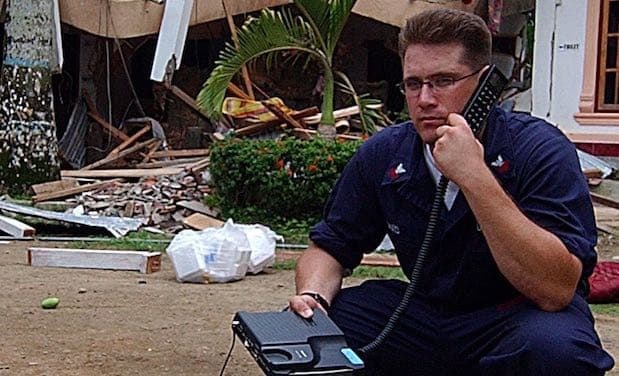 These phones can work even when there are natural disasters and even in flights and in ships. The phones will be handed over to the government agencies in the first phase. INMARSAT, an international organisation that owns and operates about 14 satellites will provide the service. It's expected that the agencies for disaster management will be the first ones to get access to these phones along with the police departments and BSF. BSNL says that citizens will be able to get the phone in the second phase. BSNL is also working on the tariff plans. Mr. Srivastava informed that BSNL plans to offer the service for Rs. 1 more than what the service provider will offer to them. He expects that the whole dynamics of the communications market will change with the introduction of this service. Mass adoption is likely to result into reduction in the cost of the service. Mr. Srivastava further informed that initially, the cost of the service will be in the range of Rs. 30 to Rs. 40 per minute. The cost of satellite phones, which currently is north of Rs. 40K is likely to go down with the adoption of service. As of now, the phones aren't manufactured in India and have to be imported. BSNL is currently concerned about the privacy of the communication happening through satellite phones. The Telecom Regulatory Authority of India (TRAI) said that the communication through satphones can be monitored by foreign agencies and that's one of the major reasons the Indian military did not opt for these phones, which are provided by foreign service providers. BSNL is working with INMARSAT to setup a gateway in India. Once the Indian gateway is ready, there will not be privacy issues and the service will be ready to be used by Indian citizens. Satphones, in general, are much bulkier than the mobile phones of today. It will serve the purpose of public communications, especially disaster management, but doubtful if it will become a "personal" phone. @RameshR - that is correct. Given the price and the convenience of the regular phones, Satphones aren't going to be a replacement. However, they're definitely going to be used by businesses. For example, the bus operators can install these phones on every bus so that it remains reachable all the time. It can be made available as a 'service' on the flights for those who want to make calls and so on. It's definitely not going to be a 'personal phone' as you said.